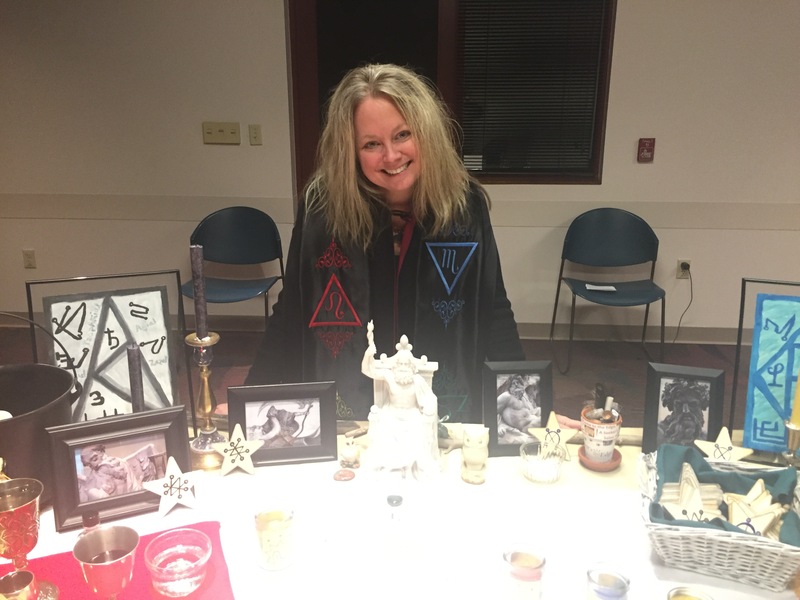 The Spirit’s Edge Shamonial Temple had its in-person Yule / Winter Solstice Ritual and Salon on Sat., Dec. 17. While this online version is a greatly pared down version of our in-person ritual, though a little more involved than some of our online rituals, it is powerful in its own right and will connect you with the greater working of our Temple. It was such a lovely evening of community and the outside portion of our ritual with the snow was amazing. It was as if we were being kissed by the Gods and embraced by them through the lovely winds! Yule is a time of celebration and making merry. It is the longest night of the year, yet we know that after this night, the Sun will begin to grow. We celebrate the birth of the Sun, and the Son God, after his sleep in the Underworld. He is birthed anew from the womb, and through the bravery, of the Great Lady on the Winter Solstice. We partnered with the Greek and Roman Pantheons during our ritual. We realized, after we decided on the ritual and the date, that December 17 also is the very night that the feast of Saturnalia begins. Gotta love it when a plan comes together! Divine breadcrumbs, synchronicities, are amazing things. Of course, there was much more than that, and it was a powerful and magickal rite indeed. We partnered with Saturn and Chronos for release of all that no longer serves us and for healthy boundaries, and with Jupiter and Zeus for expansion, new growth and receiving our blessings. This online ritual contains the Ceremonial Magick component of sigil work. Though the rest of the components are not included here, our in-person ritual took the form of Ceremonial Magick/Witchcraft. This ritual was written by Temple High Priestess Shea Morgan, unless noted otherwise, and all rights are reserved. It may be used for your personal/private use only. If you wish to use this or a variation for a group in the future, please contact Shea Morgan for the Spirit’s Edge Shamonial Temple at ravins52252@mypacks.net for permission; this ritual may not be published or used publicly elsewhere without prior written permission and attribution. We completed our 3rd Annual Food Drive, benefiting Operation Food Search, many thanks to all of our members for their generous and giving spirit! We announced a record-breaking success of our newly completed 3rd Annual Autumn/Fall Auction & Fundraiser. It was our most successful yet again this year to benefit our 501c3 efforts! We announced our first Women’s Spirit Circle gathering of the Red Tent that will take place on Jan. 22! To attend, it takes a few steps…. First, join Spirit’s Edge: A Seeker’s Salon … Then, friend request (so FB will allow us to add you), and message Shea Morgan, and we will get you added to our secret Facebook page. There you will find the address for this event. We announced our first women’s shelter drive event to go along with our Women’s Spirit Circle’s first meeting! Details of this giving drive will be announced first on our Women’s Spirit Circle page, so join the group to the first “in the know”! We announced the first book for our newly relaunched Reading Witches Book Club – The Sea Priestess by Dion Fortune! Dion Fortune is also one of our Spirit’s Edge Shamonial Temple Guardians! To join Reading Witches, first, join Spirit’s Edge: A Seeker’s Salon … Then, friend request (so FB will allow us to add you) and message Shea, and we will get you added to our secret Reading Witches Facebook page! The first meeting will be both in-person and virtual via video conference in mid-February – watch for announcement coming soon! We held a beautiful first meeting of our new On The Edge Grief Circle in December. Our next meeting is on February 1! To join, first join the Spirit’s Edge: A Seeker’s Salon group page, check out our event pages for details (here is our public event page link), and then email ravins52252@mypacks.net to sign up and hold your spot, as space is limited! It is so exciting to see all of these plans of community and service coming to fruition! And what better time to celebrate than at Yule and the upcoming New Year! Our members also received a token in remembrance of the working, which was handcrafted by Alinore Rose, making physically manifest a vision received by Shea Morgan from Saturn, Chronos, Jupiter and Zeus. They were so beautiful! 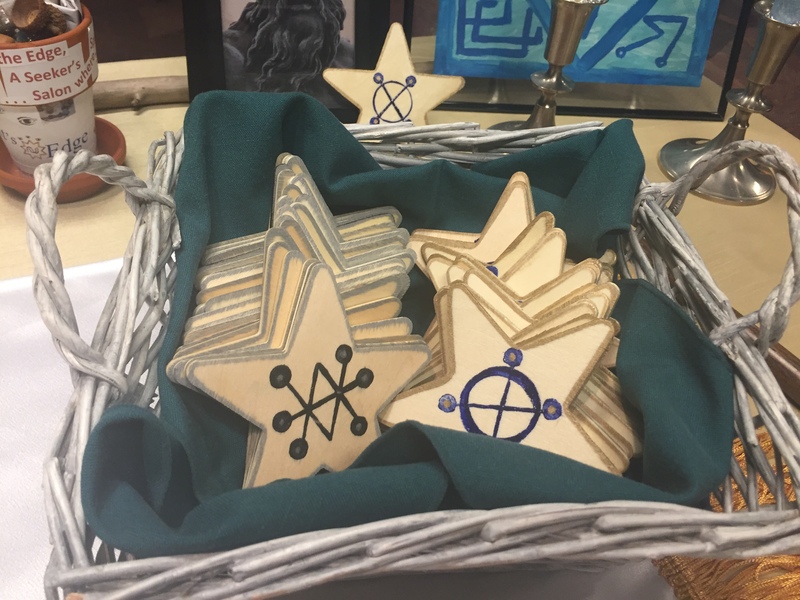 They were wood pentagram / star shaped peytons (five points for Saturn), with the sigil for Saturn in its color black on one side and the sigil for Jupiter in its color blue on the other side. They are intended for working with the correspondences of Jupiter and/or Saturn in any magickal working. We also have offered a few for sale through a post on our Spirit’s Edge: A Seeker’s Salon group page – just visit the page and ask to join to check it out! To see all the photos of our altar, the beautiful tokens and more, please visit Shea’s Yule/ Winter Solstice photo album; we are in the process of uploading the photos also to our Temple’s Facebook page. Lots of options on timing! You are welcome to perform your ritual at any time, and it will tie into the main working of our Temple’s Ritual. Saturnalia began on Dec. 17 and is a week-long festival, generally considered to continue through Dec. 23. Yule is celebrated by some on the Winter Solstice of Dec. 21, or even by some on Christmas. The 12 Days of Christmas begins on Dec. 25 and ends the night of Jan. 5, with Epiphany on Jan. 6. Some celebrate this time as the 12 Days of Yule/Yuletide beginning at sunset on Mother’s Night, Dec. 20, and ending on the calendar New Year’s Eve, Dec. 31. Then of course, this ritual also fits with the New Year as well. And all of these options fit with the energy of this ritual! Your journal or something to write on and a pen. Prepare your altar space with your images of Saturn & Jupiter and with your Sigil of Saturn and Sigil of Jupiter, and your two candles, and your other items, then prepare yourself and your space according to your preference. You may cast a circle and call the quarters if you would like, but it is not necessary. Hail Saturn! Celestial God of the Ancients! Mighty Task Master and Lord of Karma! We call to you this blessed Saturnalia! and bless us with your presence this magickal Yultetide night! Your voice it doth thunder in the Heavens! Oh Great Lord and Planet Jupiter, Bringer of Prosperity and Expansion of our Soul! Read out loud… This is the time of Yule and the Winter Solstice. The Sun appears to be standing still in the skies. All lies in stasis as the Great Lady births the newly born Son from her womb. On this occasion, we release what no longer serves us into the darkness as an offering with our gratitude for the lessons we have learned. In this time of between, we create healthy boundaries to support our awakening and the flourishing of our vital and awakened self in our own lives. We turn the Wheel of the Year and welcome in the growing light, and as we do, we welcome sweet blessings in return for our offering. You may wish to meditate with Saturn and Jupiter, and perhaps even with Chronos and Zeus, their archetypal counterparts. You may wish to perform your own meditation. You may use one of the candles, watching it grow bigger in your mind’s eye. And as the light grows in this New Year; enter the light and journey where it takes you. You may wish to meditate first with Saturn and/or Chronos by using the Saturn candle. You may also wish to meditate with Jupiter and/or Zeus by using the Jupiter candle. With the birth of the Sun, think of what you individually are bringing into form this year. What are you birthing from the ashes and bringing forth into the new light, transformed from the Underworld? What do you release and leave behind in gratitude and in offering? What does this time of Yule and the Winter Solstice mean to you? If you are crafting your peyton during this ritual (see the “what you’ll need” section of this online ritual), you may do that at this time. What one healthy boundary do you choose to create in your life? What one blessing do you choose to receive as a gift in return? 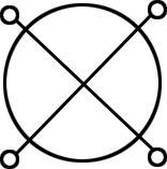 When you feel this charge is complete, set down the sigil. 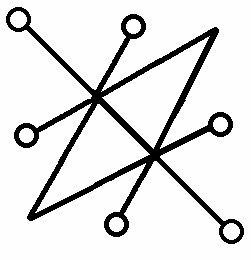 At this time you may wish to take your sigils/peytons outside with you in your receptive hand, and your offering in your projective hand, to go outside and make your offering. Or, you may do this after you complete the ritual. In ritual work, we make an Act of Power and we build that power to fuel the Work. This is a chant by Shea Morgan, and as with this entire ritual, it is also copyrighted and may only be used for your personal/private working in this rite. At this time you may choose to speak words of love and gratitude to Saturn, Jupiter, and the Great Lady, and perhaps Chronos and Zeus. When you feel you are finished, thank the spirits for their presence in your space and wish them farewell. Then close your circle according to your own tradition. Take your offering and make it outside somewhere in nature if you have not already done so. You may craft the two sigils into a two-sided peyton later if you have not already done so. Be sure to journal your experience and to pay close attention to your dreams, synchronicities and omens that you may receive over the next few weeks in answer to your working of this rite. May blessings come to you and yours in this Winter Solstice! Blessed Solstice and Merry Yule! And Happy New Year! Blessed be! Thank you for joining our Spirit’s Edge Shamonial Temple’s Yule / Winter Solstice Ritual! We happily encourage you to post photos of your working to share the love of Yule and the Winter Solstice on our Facebook pages – Spirit’s Edge Shamonial Temple (and “like” and “follow” us there!) and Spirit’s Edge: A Seeker’s Salon (All are welcome to join!). For more information on all of our offerings, you may check out our Facebook pages and also our Spirit’s Edge website.